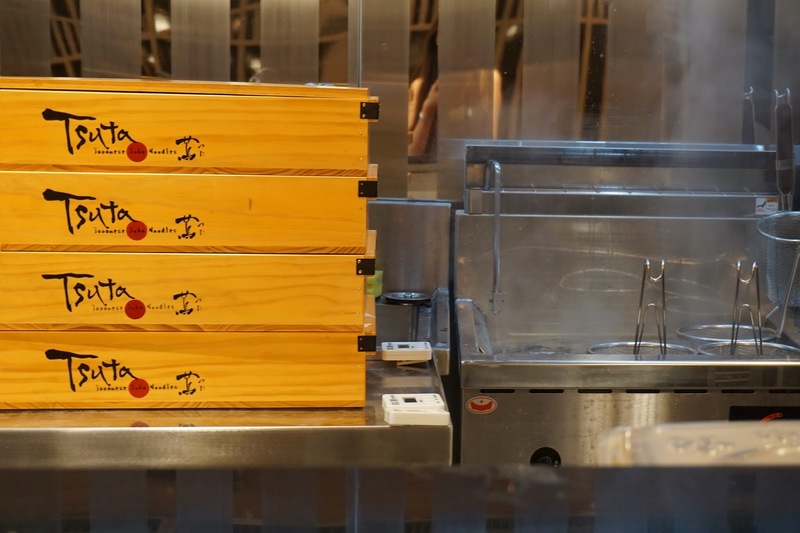 Tsuta has been one of the most anticipated brands this 2017 by food enthusiasts, or more specifically by ramen aficionados. 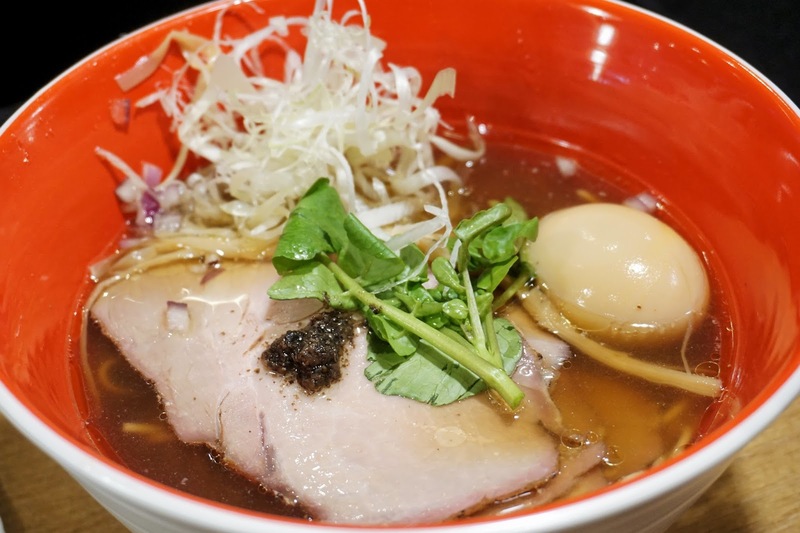 I fall under both categories and I can't help but salivate whenever I read reviews on Tsuta's signature and Michelin-starred ramen. Just picturing its rich broth with truffle oil makes me uneasy. I just have to try it as soon as it lands here in Manila. And finally, I did. 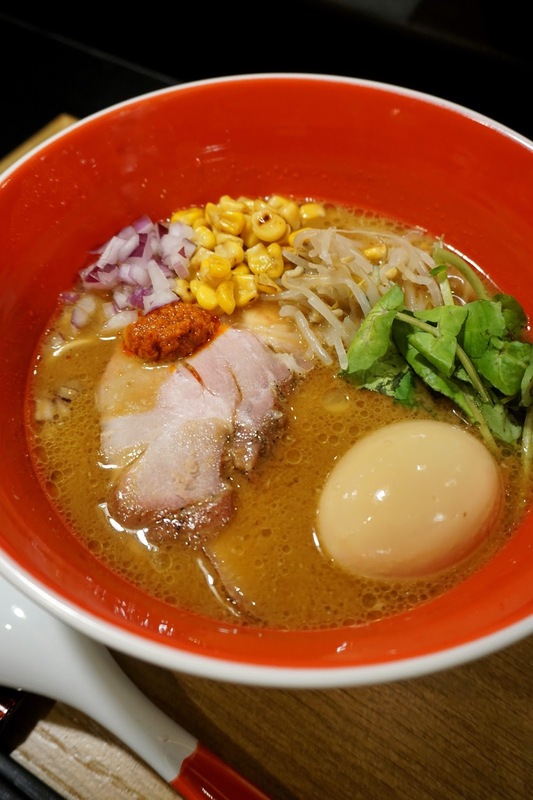 Tsuta Ramen is no stranger to those who frequent Tokyo. 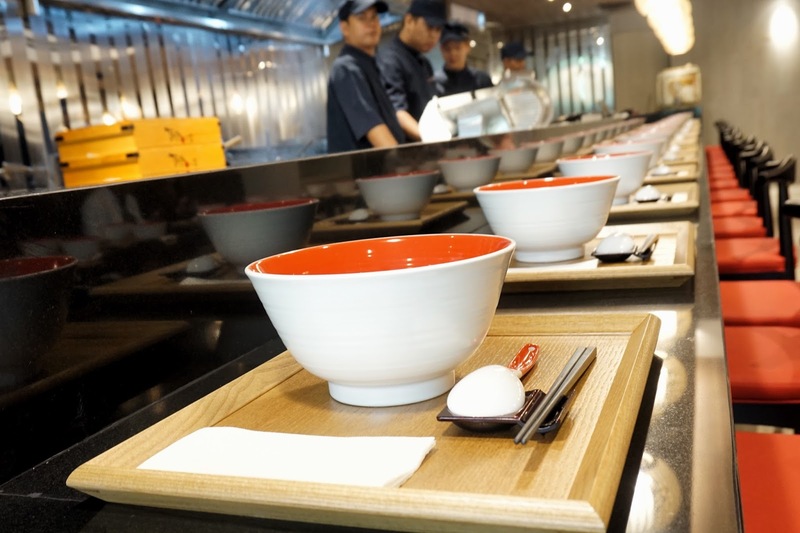 As the first ramen shop worldwide to be awarded the prestigious Michelin Star, Tsuta has become a destination for good ramen. It all started at a small shop in the quiet neighborhood of Sugamo, Tokyo. Chef Onishi Yuki decided to craft his own recipes and interpret ramen differently. 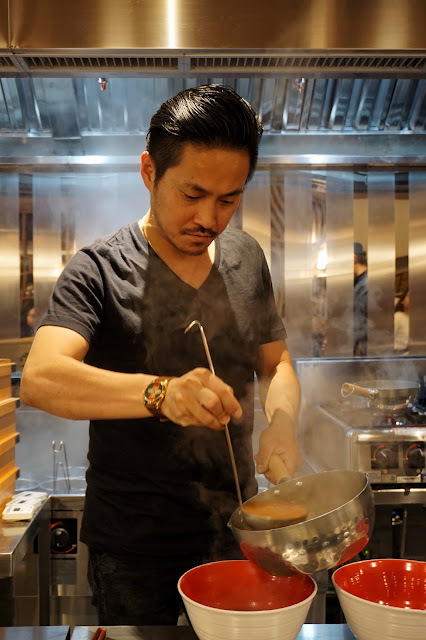 With his years of training under his father's ramen shop, Chef Yuki was able to create the perfect ramen bowl that harmoniously blends traditional and modern. 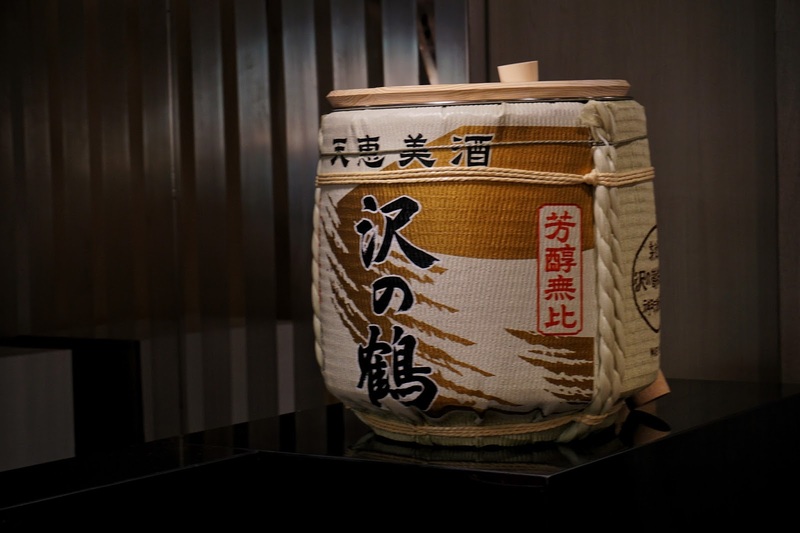 By using premium ingredients such as shoyu from the shoyu brewery in Wakayama, Haccho Miso from Tokushima Prefecture and noodles made of curated wheats, each mouthful ooze with rich character which is undeniably Japanese. 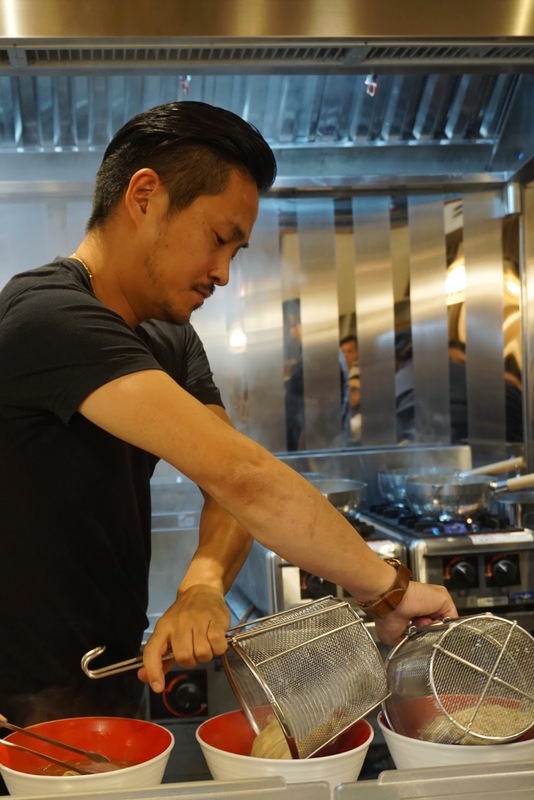 But what makes it interesting is that Chef Yuki adds something other ramen shops didn't... truffle oil. As a big fan of truffle, I made sure to find time to drop by its first ever Manila store in Bonifacio High Street Central. A tear dropped as I saw its board up gone. Welcomed by its beautifully lit store with wooden and tile accents, I entered like a giddy little girl to a toy store. 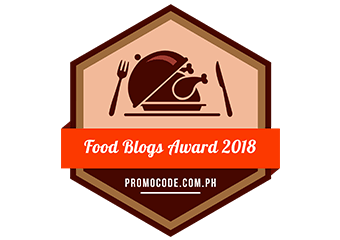 I didn't think twice and decided to try the award-winning Shoyu Soba (PHP390 | PHP440, with ajitama | PHP570, with 4 slices of char siu | PHP620, with ajitama and 4 slices of char siu). Sadly, my fist visit had some hiccups and I didn't get to try the Shoyu Soba I was drooling for. I did get to try Ro-Su Meshi (PHP170), Aburi Niku (PHP130) and Shio Soba (PHP390 | PHP440, with ajitama | PHP570, with 4 slices of char siu | PHP620, with ajitama and 4 slices of char siu)) though. The Ro-Su Meshi was delightful. I noticed that the chefs only cut the slab of meat upon order. I guess it is to ensure the freshness of the meat. 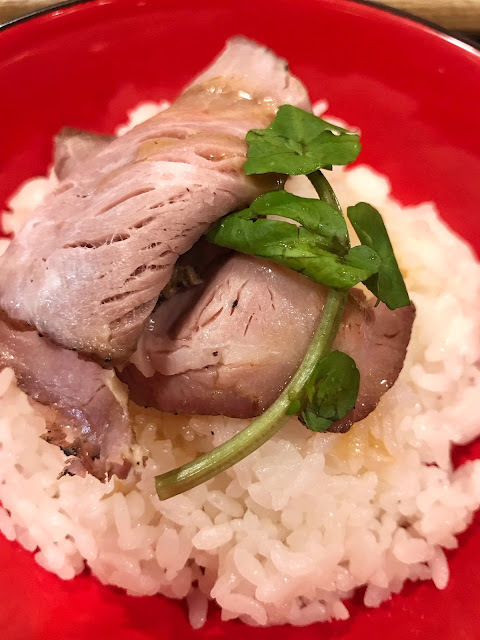 The thin slices of roasted pork somehow reminded me of ham, in a good way. It was a festive burst of flavors every time I get a mouthful of the well-seasoned pork and fragrant buttered rice. It would have been more enjoyable though if there was more butter on the rice. (Butter monster here.) 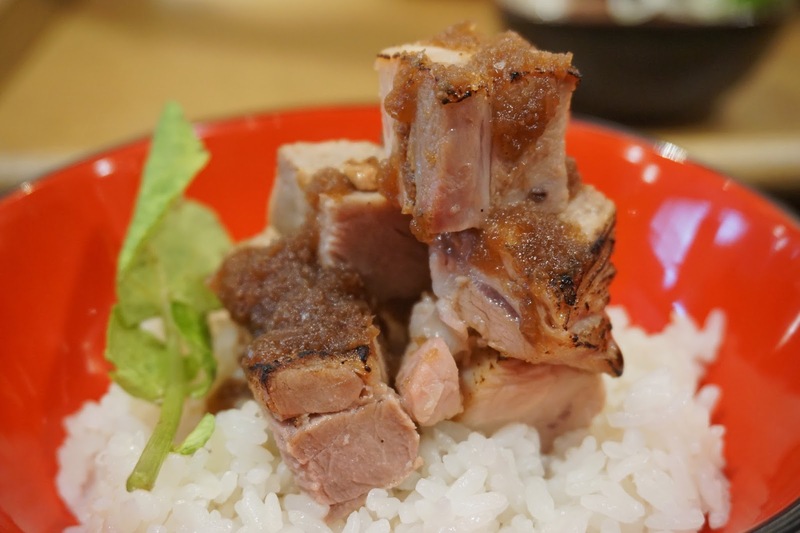 Those who have low tolerance for salty dishes might have to eat more rice to enjoy this. The Aburi Niku was like the local favorite lechon kawali but more succulent. I'd recommend this guests who want something familiar and to picky eaters, especially kids. Just like Ro-Su, this is best enjoyed with rice. Before heading out for a meeting, I had a taste of a friend's Shio Soba. As expected, the broth was light. 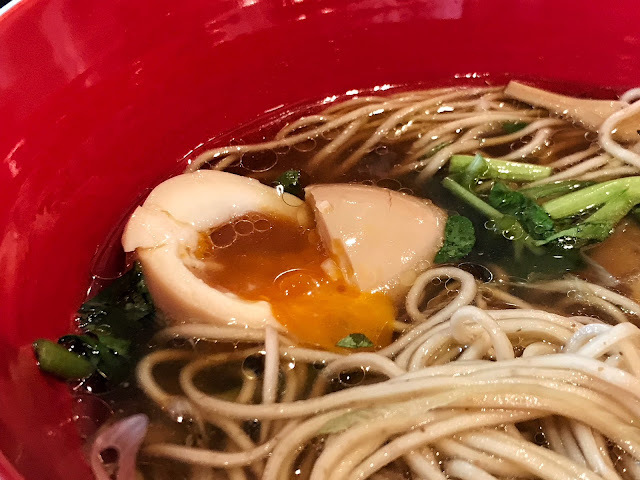 The blend of the different broths--whole chicken, asari clams and various important Japanese fish with sea salt from Okinawa and rock salt from Magnolia gave this bowl a very delicate taste. The truffle oil was a beautiful accent giving it an interesting flavor. However, I found it too light for my liking and I'm more used and prefer shoyu. I went back to Tsuta the following day to satisfy my curiosity and to have a taste of the ramen that won a Michelin star. The queue was quite long when I got there. Service too was slower compared to other ramen shops but it could be also because of Tsuta's different prepping methods such as freshly slicing the char siu. After 15 minutes or so, my fragrant bowl of noodles was served. The mouthwatering aroma of truffle was the first thing I noticed and after quick snapshots, I began to indulge in the famous soba. I first had a sip of the broth and it was light yet more flavorful than shio. The shoyu made from soy beans matured for 2 years and made into soy sauce in Wakayama gave the broth more depth. The serving of truffle might seem little but its flavor was evident in every slurp and it was enough not to overpower the broth. 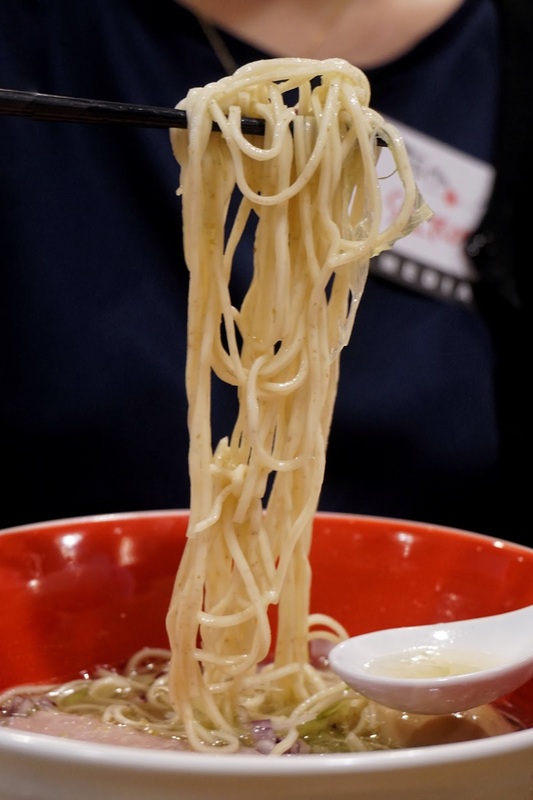 The noodles were thinner than your usual soba which makes it great as it has more room to absorb the soup without being soggy. I also loved its firm texture. The bamboo shoots also gave it that extra crunch. The thin slice of char siu was also good. But it was overshadowed by the beautiful and tasty flavored egg. It was cooked to perfection! 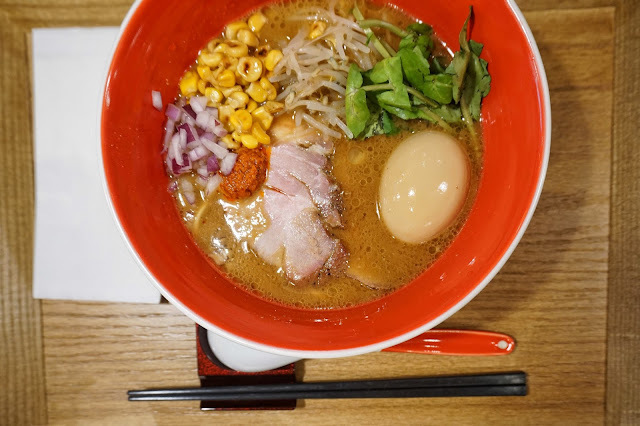 When sliced, the golden yolk oozes out and made each spoonful even more delectable. My friend P had Miso Soba (PHP410 | PHP450, with ajitama | PHP580, with 4 slices of char siu | PHP670, with ajitama and 4 slices of char siu)and I had a spoonful of hers. And indeed, it was the richest of the three. The slight spice from hot sauce will surely delight those who like a bit of heat in their food. This soba may not have truffle oil but it has porcini mushroom oil which blended lovely with miso. 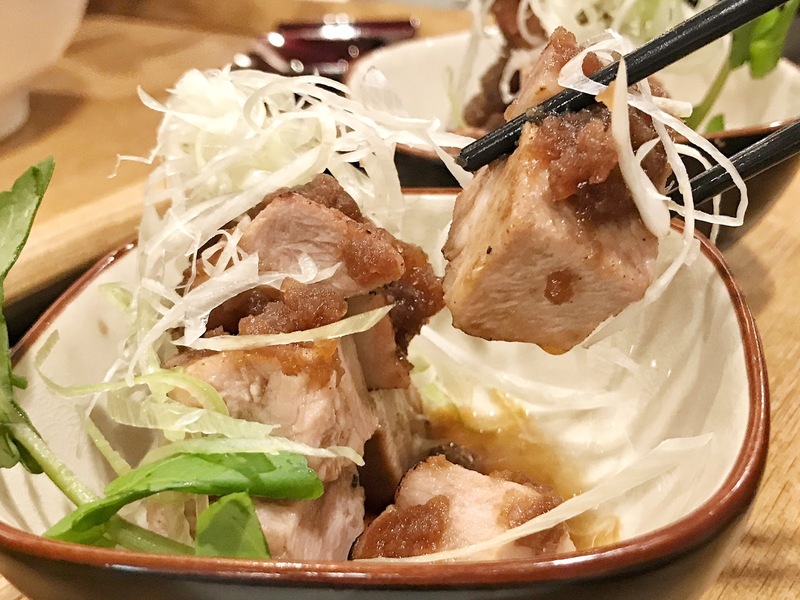 Though Tsuta just opened two weeks ago, it has been getting mixed reviews. 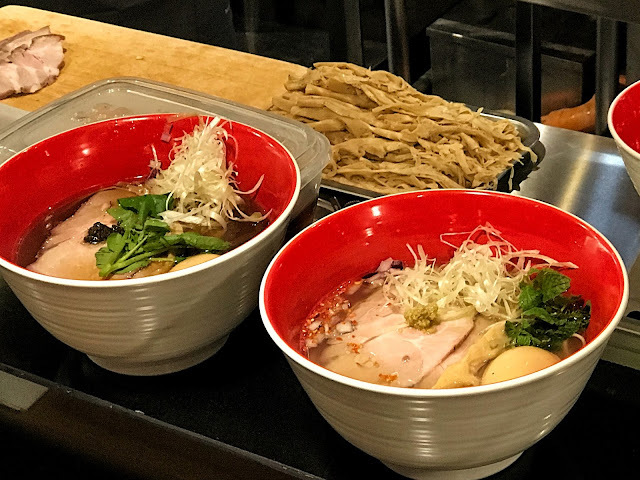 Several are questioning if their taste buds are just not meant to appreciate Michelin star ramen or if Tsuta is just "not ramen enough" to be enjoyed. A lot also pointed out lack of flavor. Indeed, Tsuta is unlike the ones we've been used to. 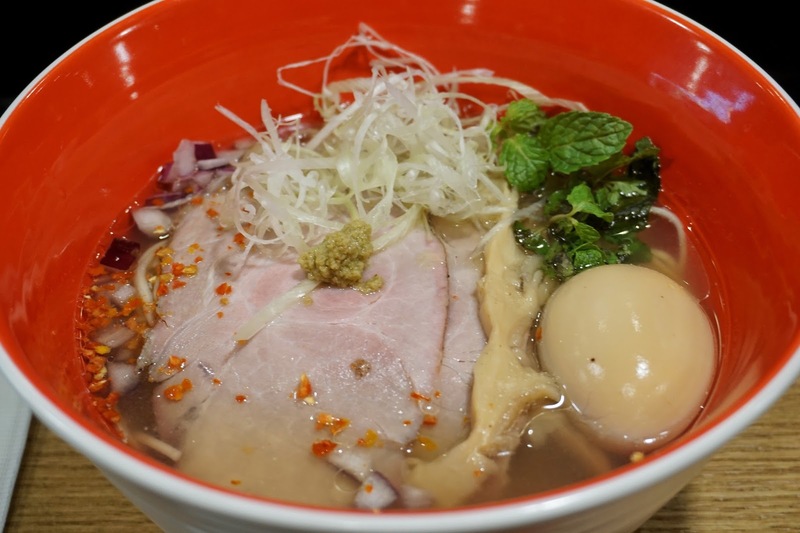 For one, Tsuta's broth is not tonkotsu-based but a combination of whole chicken, assorted Japanese fish and asari clams. Its broth also does not use MSG hence not being as flavorful as its competitors. Perhaps it is not meant to please those who are looking for very rich and bold flavors. But if you want to try something new and a healthier option, give Tsuta a shot. 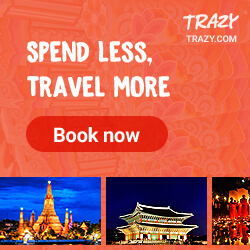 Tsuta is located at C3, Upper Ground, High Street Central, Fort Bonifacio, Taguig City. These words sound like quite the oxymoron. 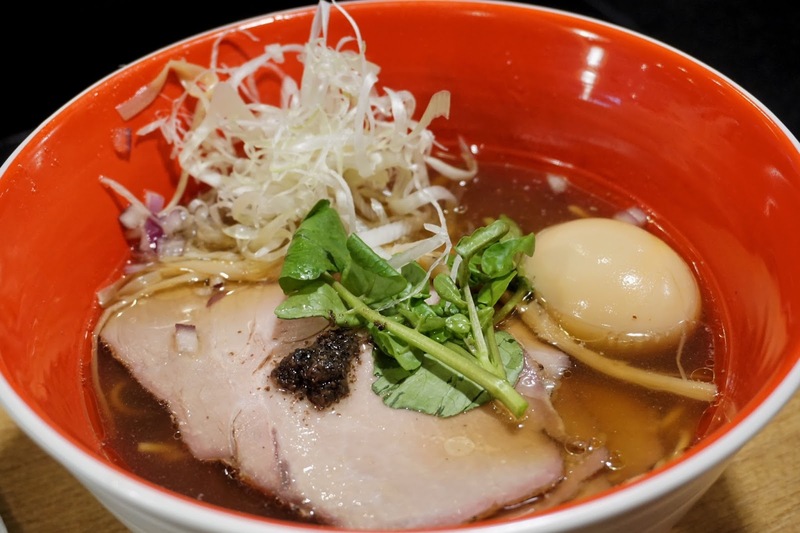 Michelin starred and Ramen. 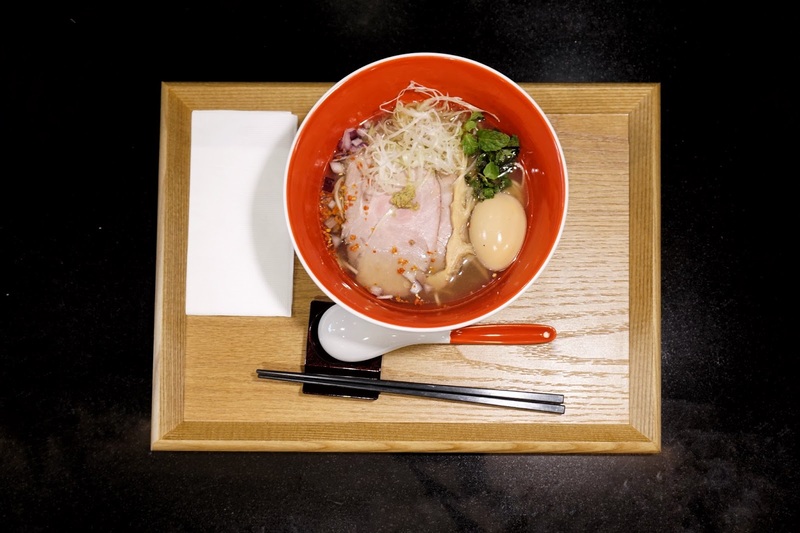 Who knew even ramen could be that prestigious to get a michelin star.